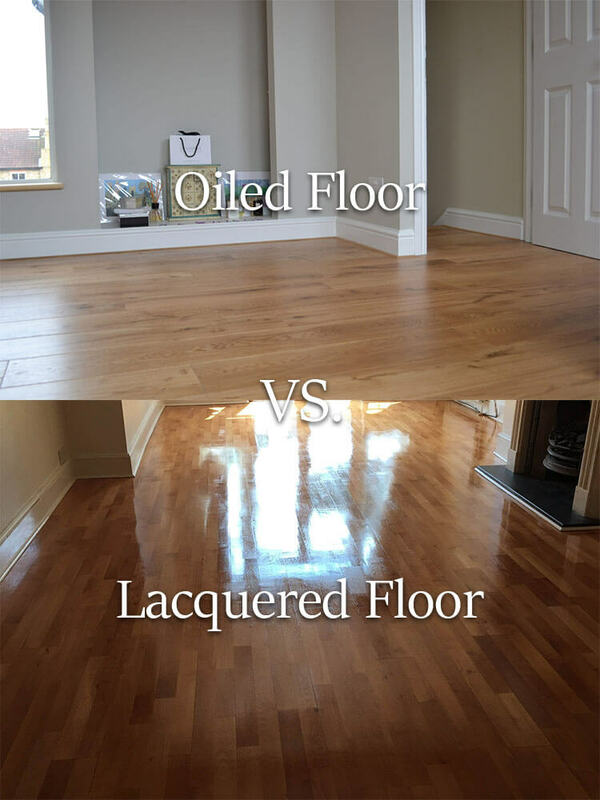 We often get asked the question of “which is better Oiled or Lacquered”? The answer is they are both have their advantages. Both finishes are incredibly durable and do achieve long – lasting results. A Lacquer is also known as a Varnish, and is made from a water-based Polyurethane. Hardwax Oils are a combination of oils with a small amount of wax. The oils penetrate deep into the grain of the wood for increased durability. The Wax content prevents the oils from going too far into the wood thereby reinforcing the layers of oil to protect from stain and accidental damage to the wood. All our floors come pre-finished with 4 coats of Hardwax Oils and 3 coats of Lacquer. We recommend in commercial projects with very high traffic and higher risk areas from water damage such as the bathrooms and Kitchens that add an additional coat after installation for increased durability. Oiled finishes are more natural and tend to be more matt so less shiny. However Satin (Semi-Matt) Or Gloss are available is more sheen is desired. When Oiled the grain is still visible and apparent in contrast with a Lacquered finish which unless brushed during application almost totally masks the wood grain patterns underneath the surface. Lacquered floors tend to have a have a smoother, shinier look and feel. Lacquer does not penetrate the grain and once applied sits on the boards surface. Lacquer is hard to the touch and highly reflective, even in a Matt finish. Satin or Gloss Lacquer is very reflective and will clearly reflect objects sitting on the surface. Life-spans of Lacquer can be between 5-10 years depending on brand used and how busy the household. Factors such as how regularly you maintain and clean the floor also come into play. Any big scratches cannot be repaired individually and require the whole floor is sanded back and lacquered, this makes lacquers trickier to maintain. With Oiled floors, you are able to do patch repairs. For small damage and stains, you can use a recommended cleaner and simply re-oiling the floor it can be restored to the original condition. This is a more economical and manageable way of maintaining the floor. For large scratches or stubborn stains, such as red wine or coffee, the area can be spot sanded and oiled, restoring the floor to as good as new. Localised repairs would only usually be carried out every 3-5 years or as necessary. Over 10-15 years an Oiled floor may only need to be completely sanded back once compared with a lacquer possibly needing 2-3 sands during the same period.